July 2, 1890: Charles L. Hutchinson returns fro Europe, bringing with him a treasure trove of paintings destined ultimately to find their way to the Art Institute. A year earlier Hutchinson, while in Florence, saw the collection of Prince Anatoly Nikolaievich Demidoff, a Russian industrialist and diplomat who had died in the shortly before. It was Hutchinson’s original intention to make arrangements to have the prince’s collection displayed in Chicago and then returned to Florence, but upon arriving he discovered that Demidoff’s widow was looking to sell the paintings. Hutchinson quickly arranged to meet Martin Ryerson, a wealthy Chicago steel tycoon, in Paris and the two men get to work contacting money men back home, including Marshall Field and Phllip Armour. For $200,000 the Chicago syndicate got thirteen paintings that Hutchinson describes in this way, “The collection is indeed superb. It would be a worthy addition to the Louvre itself. The names of the artists include Rembrandt, Hobbema, Van Ostade, Van Dyke, Johann Steen, Terburg, Teniers, Adrian Van der Velde, William Van der Velde, and Rubens. 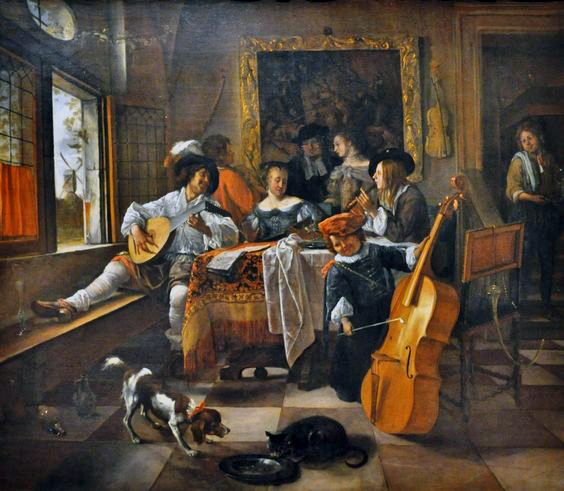 With the exception of the Rembrandt there is nowhere in America anything to compare with these examples of the old Dutch artists.” [Chicago Daily Tribune, July 3, 1890] Jan Steen’s groovy “The Family Concert” of 1666 was part of the collection, given to the museum by Hutchinson in 1891. July 2, 1952 – The final section of the $22,000,000 Edens expressway is opened to traffic. The last section of the highway connects the highway north of Lake-Cook Road to a Skokie Road in Highland Park. The completed expressway is named after William G. Edens, a Chicago banker who was the sponsor of the state’s first highway bond issue 34 years earlier. 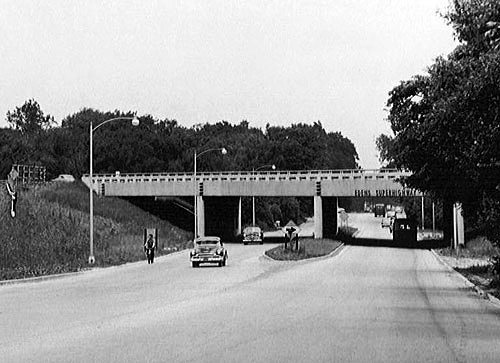 The above photo, taken in 1952, shows the beginning of the new highway passing over Cicero Avenue.